Love ‘em or hate ‘em, you’re sure to get plenty of visits from friends and family when you live in Spain. 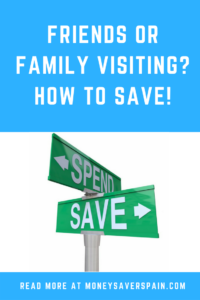 Their free holidays can work out expensive for you, unless you plan ahead with out simple tips to save. If you’ve ever wondered who buys those 3×2 offers on 48-roll packs of jumbo toilet tissue, well now you know – when you have visitors! But seriously, stocking up on BOGOFs from your local supermarket on non-perishable goods, especially drinks, a couple of weeks before your visitors arrive is a good idea. Going to El Corte Inglés can be a chore, but many people who don’t live in Spain love it as it gives them the chance to see a “typical” foreign department store. Tell them to take along their passport, print the card available from the website and ask at the information desk about the 10% tourist discount available in many departments. Of course, you should take advantage of this to get discounted items for yourself too. If your visitors are from non-EU countries then they can also get the sales tax back on many goods (for spends over 90.16€). They’ll have to ask for a form from the vendor and at the airport show the completed form and the goods purchased – if they’ve already checked-in their luggage with these items then they won’t get the form stamped. There are three options to get their money back: use a service such as Global Blue that pays immediately but charges a fee, post the stamped form(s) to the processing centre and wait or, in some airports, get a refund at an airport bank branch. – Getting them to make a transfer before they leave to your bank account by using TransferWise – it’s cheap, safe and quick (see our article on currency transfers). When they arrive you can just hand over the cash. – Reminding them to inform their bank that they’re going to be abroad to avoid their credit card being frozen and you having to bail them out. Fussy eaters? The last thing you want is to take everyone out to a Spanish restaurant and see them turn their noses up at food they’ve never seen before (and that you’re going to pay for). It’s here where Spanish food comes into its own with tapas, pinchos and raciones: lots of smaller portions so people can try new things. 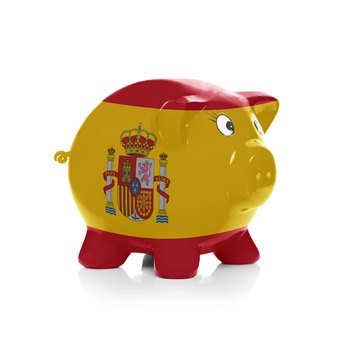 Check your local tapas restaurants to see which days they have special 2×1 offers on drinks to bring down the bill. Take your friends away from typical tourist traps with hiked prices and dubious quality to lesser-known and cheaper villages and towns nearby. Before they arrive, visit your local tourist office and see what offers they have for the local sites, museums and other cultural centres. Draft an agenda to see which days you can take advantage of cheaper or even free entrance. Some museums offer free entry at certain times of the day or on Sundays. When paying for tickets, check if you can get them online with a discount. If considering buying Discount Cards sold in bigger cities such as Seville, Barcelona or Madrid, ask yourself if you’ll really visit that many places to get your money’s worth. If your visitors include under-31’s from the EU, it’s a good idea for them to get an European Youth Card a couple of months beforehand as this gives discounts at many cultural sites and at some stores. Don’t forget that we have an exclusive discount available with Tixalia for theme parks in Spain, and you can even change the dates free of charge. If you only have one car, you’ll need to think about how to get around with your family or friends. Groups often get discounts on trains, or instead of renting a car or passenger van why not take a look at local car sharing initiatives such as Blablacar. In larger cities consider buying tourist passes for public transport which are normally valid for 3 to 7 days. With no more roaming charges in the EU, it’s easy to stay connected. Make sure your visitors use your home WiFi or, when out, free WiFi spots. Mobile providers penalise “unreasonable use” (whatever that means!) and they could still see extra charges on their bill.